The beer-focused restaurant claims to be renovating. The note on the door claims otherwise. 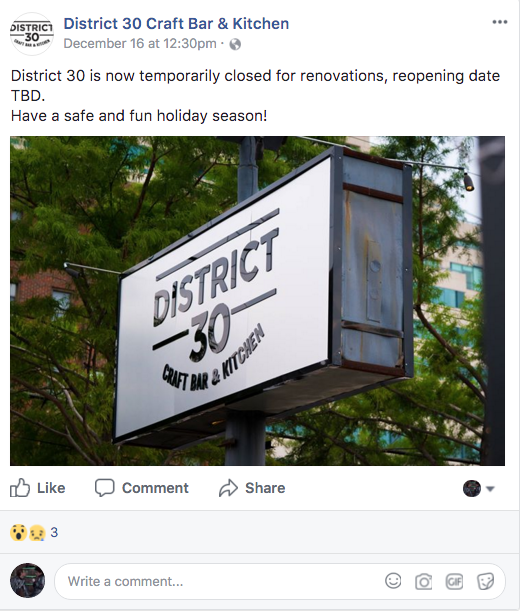 District 30, the Oak Lawn gastropub that opened this summer in the space that previously housed Kin Kin Urban Thai, and, before that, Cyclone Anaya’s has (temporarily?) closed. 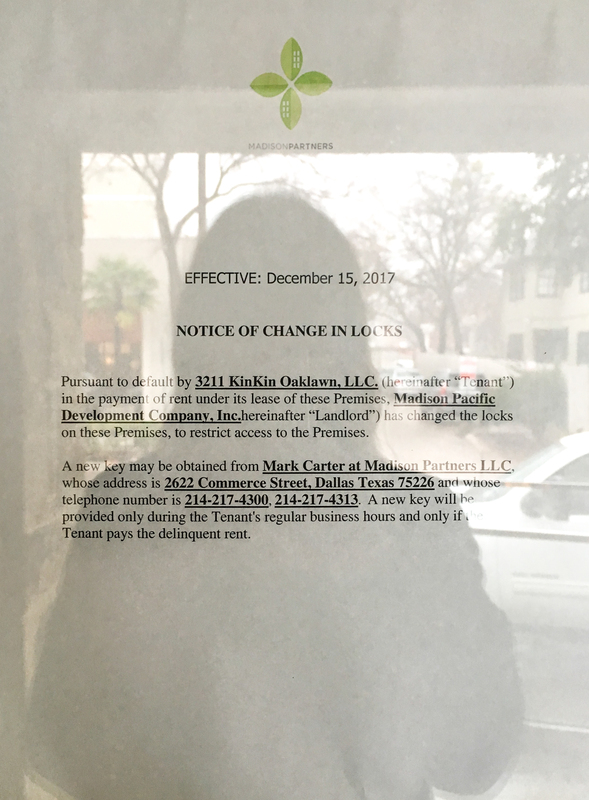 A sign on the door states that the tenant has been locked out due to failure to pay rent. I reached out to the restaurant and will update this post when they respond.